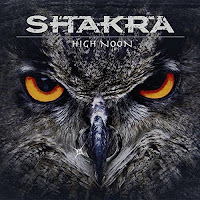 Rock & Metal 4 You: CD-Review: Shakra - "High Noon"
When singer Mark Fox left Shakra back in 2009 nobody thought these guys will ever team up again. It seemed to be impossible because it was a quiet ugly break up with lots of bad blood. 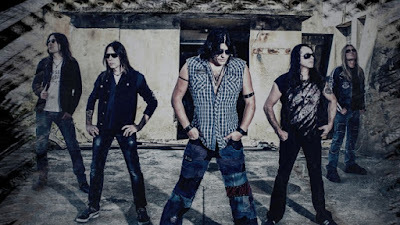 Fox was replaced by John Prakesh and just after two albums Prakesh left the band in 2014. I don't know what it is, but Shakra always had problems to keep their singer. To me it was a huge surprise when I heard the news of Mark Fox's return on the new album, called "High Noon". Now it's finally here and it feels like Fox never left the band. It was back in 2007 when I discovered this Swiss Heavy Rock band. That was the time when their album "Infected" came out and I loved that one from start to finish. So to me, Mark Fox was always THE voice of Shakra. I know there was Pete W. in the early days, but to me Shakra's sound was coined by Mark Fox. 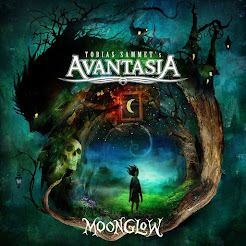 And although the latest two albums "Back On Track" and "Powerplay" with Prakesh on vocals were great Hard Rock records, it didn't feel the same. Now with "High Noon" it feels like coming home, it feels like coming back to the days when I discovered Shakra - it simply feels right and when you listen to this album it's pretty clear that Shakra continue where they left off with "Everest" back in 2009. Every Shakra fan will be pleased with this new record. It has all the ingredients you would expect from this band: the right balance between heaviness and melody, raspy vocals, soaring guitars, catchy riffs and a monstrous rhythm section. It's all there and to me this is the best Shakra record with Fox on vocals right behind "Infected". The special thing is that this album comes along with much playfulness. It feels like the guys feel pretty comfortable in their skin and nearly every song spreads a positive mood. Tracks like "Hello! ", "The Storm" and "Watch Me Burn" rock as hell. I could easily name almost every song here. There are just maybe two songs on this record that sound a bit too generic to my ears ("Eye To Eye", "Is It Real"), but those tracks are also far away from being bad. I always wonder how this band can produce such infectious guitar riffs. Just after a few seconds they grab you and you simply have to bang your head to them. But like on every Shakra album before there is of course a ballad on this one, too. It's called "Life's What You Need" and is simply beautiful. One of the better ballads this band has written and definitely one of the many highlights on "High Noon". Another thumbs up goes to the massive production by Thom Blunier. He is a wizard. Period! If you want to hear a first-class in-your-face production you got to listen to this. This is how Hard Rock should sound in 2016. The dynamic is great and every instrument sounds crystal clear. In my opinion Blunier simply needs to produce some other bands. If you ever listened to such a high quality production you just want that every album sounds this way. 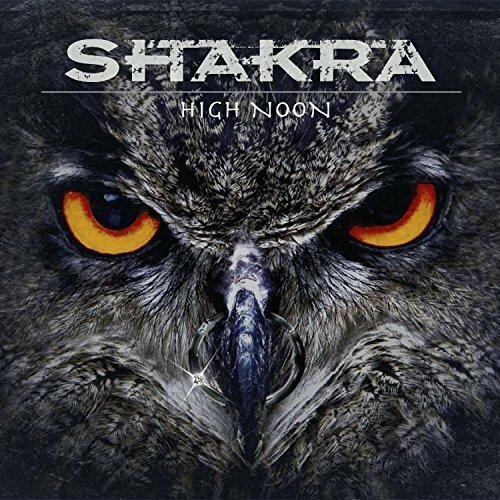 Finally I just can say that Shakra did everything right on "High Noon". It is a first class Hard Rock record with many catchy songs and infectious guitar play. To have Mark Fox back on vocals makes this album even more fascinating to me than previous records. I'm pretty sure that "High Noon" will end up in many Years leaderboards in December. Mark my words.